Well, I bit the bullet… I AM RUNNING A 50K! Michelle and I will be running the Prairie Spirit Trail Fall Classic 50K in Ottawa, KS in a couple weeks! The biggest factor that played into her first race was the heat…and it looks like historically, the average temps look GREAT that day! Yeah…I am QUITE nervous for running a 50K. After all, I did train for a marathon this summer without a marathon in mind… Mostly I just wanted the miles for my 2,016 in 2016 challenge and to keep moving for my fall pacing events (which have already started with last weekends MO Cowbell run!!). …good thing it will be a short week for me! After that crazy weekend (mentioned above), I will be heading back to KC to catch a flight to San Diego for the Fit Foodie Run Weekend! Minus the connecting flight hopping, this should be a relaxing weekend with my bestie! Get ready for a fun weekend Steph!! 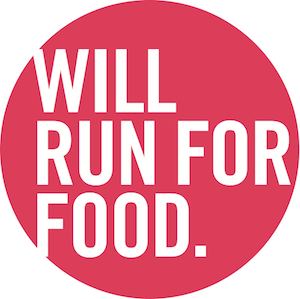 I want to give a warm shout out to one of the sponsors Wasa and the great Amanda from RunToTheFinish for the awesome giveaway that is sending us to San Diego for the Fit Foodie Weekend! I won the GRAND PRIZE in the contest that Wasa sponsored with Amanda and 3 other bloggers. It is going to be a great weekend for sure! Will you be at this event? Give me a shout and I would love to meet you! UPDATE! I wasn’t expecting my quilt until after the new year…but I got an e-mail today saying that my quilt has been shipped! SAY WHAT?! If you are interested in getting your race shirts (or any shirts!!) made into a fleece blanket, go ahead and check them out here! You can get 15% off your order! Check out the linkup with Amanda to see what everyone is thinking (out loud) this Thursday!